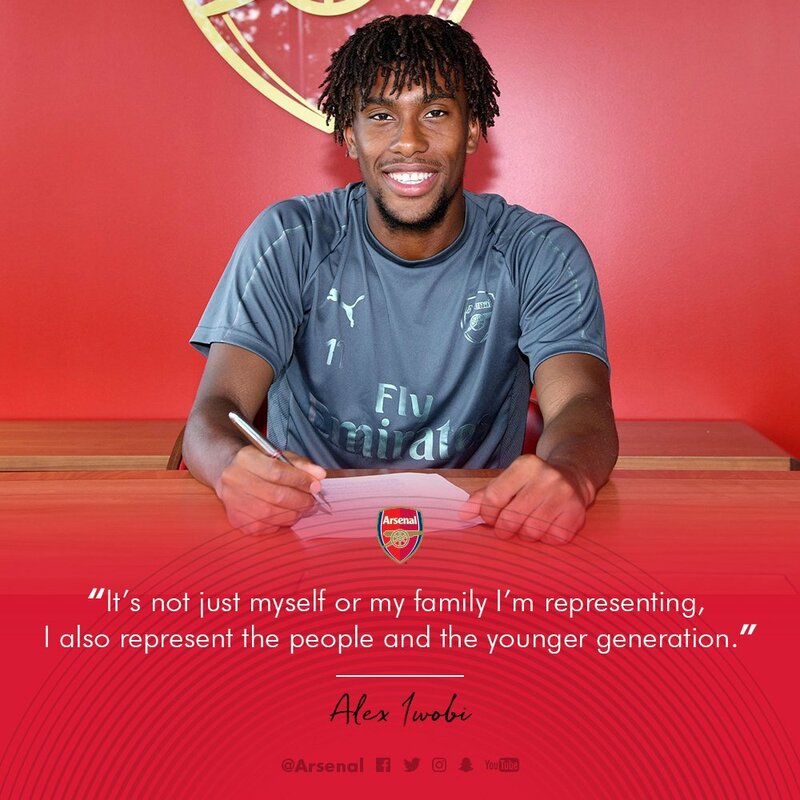 Super Eagles forward Alex Iwobi has signed a new long-term contract with Premier League giants Arsenal. Iwobi, 22, has been an important squad player since making his debut in 2015 and has been rewarded with a new deal, reportedly until 2023. He has scored nine goals in 98 appearances for the Gunners. Iwobi becomes the third Arsenal player to sign a new contract this summer after Calum Chambers and Granit Xhaka. “It feels so special. The first kit I had was of Arsenal and long may I continue to represent them.” He stated. “He is a great example of a player who can succeed from the academy through hard work and I look forward to working with him and our other talented young players in the squad.” The former Sevilla and PSG boss concluded. Alex Iwobi featured for the Super Eagles of Nigeria at the recently concluded FIFA World Cup tournament in Russia.